This test has 10 equation word problems and is a great way for students to practice solving word problems involving integers. This test has ten problems consisting of multiple choice questions, matching, and fill-in-the-blank. Get as much practice as possible solving equation word problems in this fun math activity. 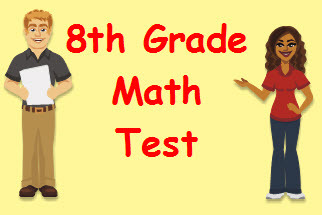 Return from this Equation Word Problems Math Test to the Middle School Math Tests , 8th Grade Math Tests webpage, or to Math Tests.